Auto-flowering strain with tall stature and high production. This 4th generation auto-flowering strain is the resulting hybrid from the cross between selected specimens of our variety SWS29 (Cream Mandarine Auto®) and a Súper Tai ’98 elite clone. 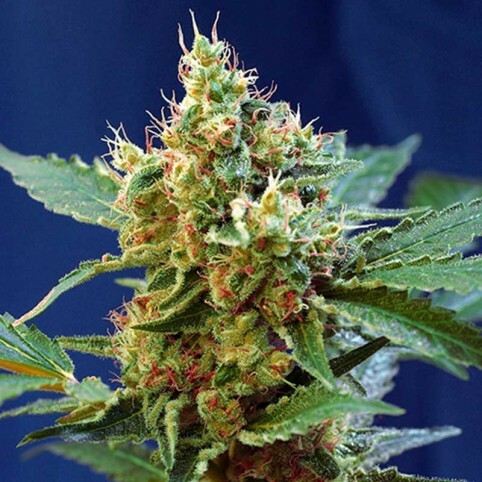 This powerful, automatic flowering Diesel hybrid can go from 0 to 60 grams in only 60 days. This str..
For an autoflowering plant that from seed to harvest takes 8 weeks, this is spectacular, a stem bend.. These cannabis seeds have been created by crossing G13 with our much loved Hawaiian.Creating G13 Haz.. The Farm received a gift of these Red River Delta cannabis seeds some years ago. When grown out thes..
BLUE GELATO 41™ is Barney’s outstanding new Blueberry super-cross with West Coast cannabis seeds.&nb..
Blue Dream Automatic cannabis seeds grow into plants which are tall, vigorous and very resilient.&nb..
Critical + Auto flowering cannabis seeds belong to a Feminised Indica dominant cannabis strain that ..
Auto Skunk #1 cannabis seeds originate from the classic and much-loved strain Skunk #1 Feminised.The..